Quando optamos por peças mais simples, não significa que estamos a comprometer o nosso estilo. Pelo contrário! Podemos optar por estilos mais simples, usando peças básicas e apostar em bons acessórios. O truque acaba por ser usar bons acessórios, sempre! Há muito que andava à procura de uma mochila em pele. Mas ainda não tinha encontrado nenhuma que gostasse. Apaixonei-me por esta da Scaramanga. 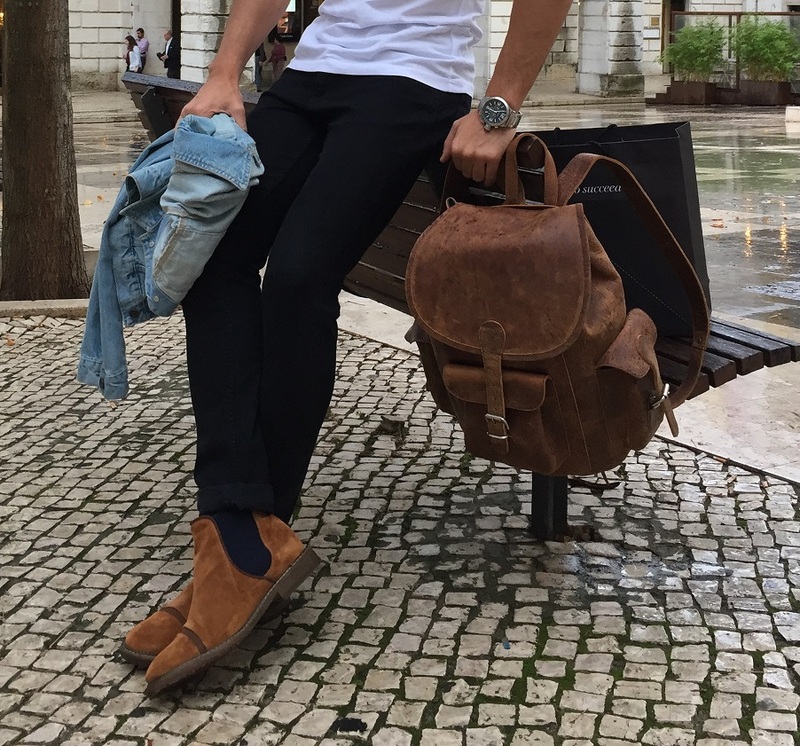 Para além do design fabuloso e do aspeto vintage da mochila, consigo transportar tudo o que preciso (depois mostro-vos mais detalhes do interior). Convido-vos a explorar a loja online da marca. Para além de acessórios em pele (como mochilas, carteiras, malas, etc), têm também uma secção de mobiliário com peças incríveis!! Estou a calçar umas Chelsea Boots em camurça cor conhaque da DKODE. When we choose the simplest pieces to wear, that does not mean that we are compromising our style. On the contrary! We can pick the simpler styles and then accessorize them the best we can. The trick is always wear good accessories! I was looking so long for a leather backpack and surprisingly I fell in love with this one from the brand Scaramanga. Apart from the fabulous design and vintage aspect of the backpack, I can carry everything I need (soon I´ll show you more details of the interior). I recommend you spending a few minutes exploring the brand's website. Believe me, you´re going to love it! In addition to leather accessories (such as backpacks, wallets, bags, etc. ), you also have a furniture section with amazing pieces. I´m wearing my new suede Chelsea boots from DKODE. Do you like?